Selling your double glazing business requires the knowledge and skills of an experienced double glazing business sales broker. With over 30 years in business and more than £500 million raised in business sales, Selling My Business has built up extensive knowledge of how to successfully sell double glazing businesses. We understand that although there are some common factors to the majority of business sales’, managing the effective sale of a double glazing firm requires specific industry insight. Our team of expert brokers have the in-depth knowledge of the uPVC industry required to make selling your double glazing business both effective and profitable. Get a business valuation or contact Selling My Business to find out more about how we can help to sell your double glazing business. Double glazing businesses often rely on two things – firstly the manufacturing quality of their products and secondly the quality and reputation of their sales staff. Assessing the value of the manufacturing side of the business (if you have one) is relatively straightforward; however the intangible assets of staff and reputation can be much more difficult to asses. Add to that the competitive nature of the double glazing market and you will see that selling a double glazing business can be challenging. However this does not mean that selling your double glazing business or selling your UPVC business is impossible, it simply requires the specialist knowledge that a business sales broker with specific knowledge of the double glazing industry. Why sell your double glazing business? You may be looking to raise cash to fund your retirement or to explore your next big venture. Or you may feel that profits are as good as they are going to get and so now is the time to sell. Whatever the reason for wanting to sell your double glazing business, our business sales experts are able to fully assess your business, it’s place in the market and its vulnerability to inevitably fluctuating market trends. 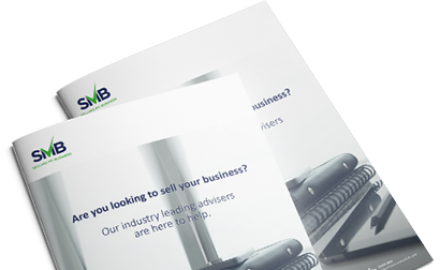 We can then provide you with honest advice about the viability of selling your double glazing business and the price which you can realistically expect to achieve. Although it is a competitive market, savvy double glazing businesses are still able to sell well. The industry overall is forecasted to grow by 13.3% between 2015 and 2019 to around £600 billion. And although there are concerns regarding market saturation in domestic replacements, there is the possibility to profit from the upturn in new housebuilding. Energy efficient windows and doors are an essential component of most buildings and current estimates put the need for additional housing in England at between 230,000 and 300,000 more units per year, in order to cope with our rising population. Therefore securing commercial contracts could be a lucrative market to corner, although it is worth being wary of the fluctuating nature of the commercial building market. Many double glazing businesses have also seen an increase in profitability due to their diversification into other home improvement products; such as composite doors, conservatories, bi-folding doors, roofline products and replacement conservatory roofs. Many of which are considered to be more emerging markets and thus suffer less from the issues of market saturation than traditional double glazed windows. We can therefore see that the overall market may be conducive to selling your double glazing firm or selling your UPVC business. However there are more factors than just market buoyancy that affect whether you should sell your business. 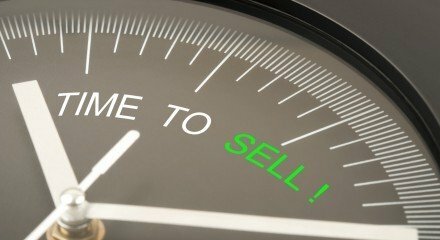 When is the right time to sell your double glazing business? Although current market trends may be advantageous to the successful sales of a double glazing business, this does not necessarily mean that your company is ready to be sold. It may sound counterintuitive but many of the most successful business sales are generated form those who have had an exit plan built into their business strategy from the offset. And if this is not possible then the sale is best if planned for at least 2 to 3 years before putting the business on the market. This planning period will allow you to align your business with the most successful and robust market trends, giving it a profitable longevity that is attractive to buyers. It will also give you time to get your accounts in order and get rid of any dead wood. Finally, and often most importantly, this will give you time to extricate yourself from the business. If many of your contracts are dependent on personal relationships that you as the owner have built up, then these could be vulnerable after your departure. Therefore in the lead up to the sale it is wise to start moving key clients over to incentivised members of senior staff who will be remaining in the business after the sale. Placing an accurate value on a double glazing business can be a complex and potentially contentious process. Generally your double glazing business will be valued by using its EBITDA (Earnings Before Interest, Tax, Depreciation and Amortisation) value multiplied by an agreed figure. But it is rarely ever as simple as that. The business valuation experts at Selling My Business are able to conduct a forensic analysis of your company to place a fair and realistic market valuation on your double glazing business. 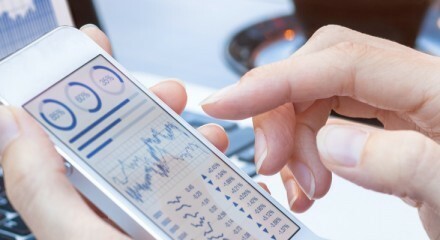 This will not only take into account the multiplied EBITDA figure but also the intrinsic worth of your brand reputation, key staff and any physical assets, including property and stock that your business may hold and the potential future scalability of the business. There are also a number of factors that should be considered by double glazing firms specifically. Our industry experts have an in-depth understanding of the double glazing sector and are able to offer tailored advice regarding how to successfully market your particular double glazing business. Being FENSA registered is an industry standard within the double glazing sector. It ensures a guaranteed level of competency amongst the fitters of replacement windows, doors, roof windows and roof lights in England and Wales against the relevant Building Regulations. Being fully FENSA registered will not only bring your company more jobs, it will also give the new owner confidence that they are acquiring a reputable business. If the new owner is going to be actually involved in fitting double glazing and any other products offered by the company, then they will have to either have an existing or apply for a new certificate of Individual Compliance (also previously known as Minimum Technical Competencies). However if the new owner is planning on operating in a managerial role only then FENSA must be immediately notified of the change of ownership. Most reputable double glazing businesses will offer around a 10 year guarantee on their installations, so what happens to these when the business is sold? Industry best practice is for the new owner to take over responsibility for these guarantees and continue to honour them until they expire. As part of a company’s FENSA compliance they must also offer Insurance Backed Guarantees (IBG’s) to underwrite the guarantee on their work. IBG’s must be provided from one of FENSA’s approved suppliers which will then automatically continue to be valid under the new ownership. Many prospective buyers may be put off if your business currently leases premises which are coming to the end of their term. They may then be faced with the prospect of either having to immediately renegotiate the lease or to find new premises which could be costly, time-consuming and, if it involves a move, may be damaging to the business’ brand. Therefore in the planning stages of your double glazing business sale it is worth securing practical and future proof premises. If you have found that your current premises are not up to scratch then now is the time to change them for ones that can grow with your business, or if you premises are currently perfect then you should attempt to negotiate a stable long term lease with your landlord prior to selling your double glazing business. Many double glazing businesses are based on an ‘install-only’ business model, where they buy the windows and doors etc directly from the manufacturer and then charge their clients for the installation. If your company fits this model then it is worth trying to negotiate favourable supply contracts with your preferred manufacturers. If a potential owner can see that they could derive benefit from work that has been undertaken by the previous owner, then this will ensure that your business will seem more attractive than another for which supplier relationships will have to be built up from the scratch. For more information or advice about selling your double glazing business or construction company, then contact Selling My Business today. 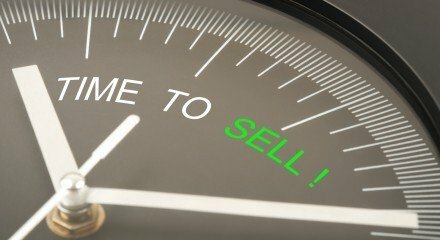 As each business is different and each business owner and their motivations are different, it is difficult to say when the best time for you to sell is. 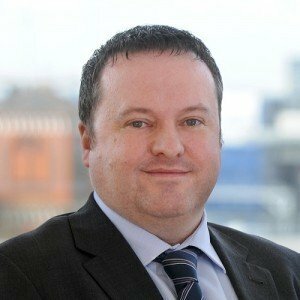 What is ‘goodwill’ and how is this valued/calculated in a business sale? ‘Goodwill’ is an intangible asset that is built up over time by the owner of a business. In general terms it’s the value given to its good name and reputation.